Woof, woof Arf, arf There's a new pup in town. When Biscuit finds a little pup in the park, he wants the pup to play with him. But the little pup won't come over to look at Biscuit's ball or to chew on a bone. In fact, he won't come out of his cozy hideaway at all Is the little pup lost? How will Biscuit get the little pup to come out? Join Biscuit as he meets a new friend. 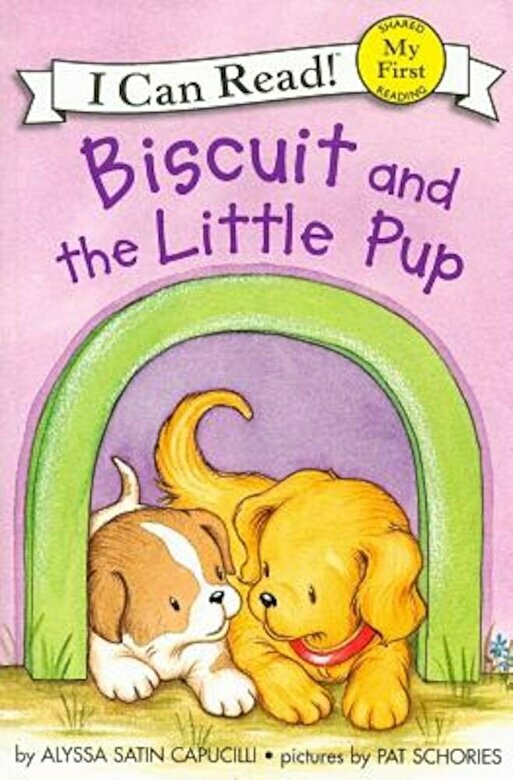 Biscuit and the Little Pup, a My First I Can Read book, is carefully crafted using basic language, word repetition, sight words, and sweet illustrations--which means it's perfect for shared reading with emergent readers.